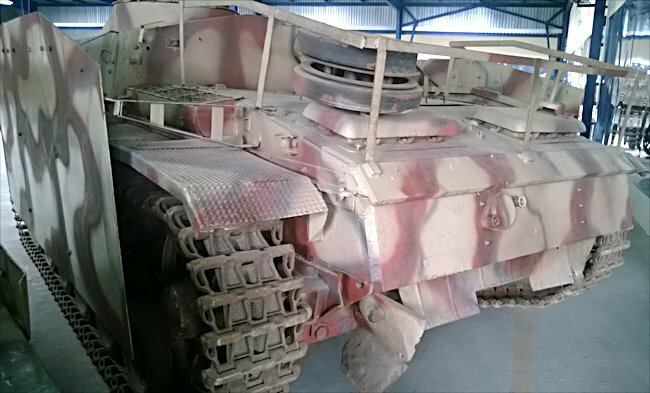 This German StuG III Sturmgeschütz Tank Destroyer Sd.Kfz.142 can be found at the French Tank Museum in Saumur in the Loire Valley. The Museum is called Musée des Blindés ou Association des Amis du Musée des Blindés, 1043, route de Fontevraud, 49400 Saumur, France www.museedesblindes.fr . The word Blindés means armoured. In the beginning of 1944 the Russian Army was pushing down the Baltic States as part of a plan to enter Germany through the flat lands of northern Poland. The Germans had set up a defences known as the ‘Panther Line’ near the town of Narva and its important railway link with Germany. They were very heavily outnumbered. Corporal Rudolph Salvermoser, Grossdeutschland Division was in one of those Stugs. "We were standing guard near Kinderheim. We were just standing by. The artillery of course always shot at us. We were told over the radio to be on the lookout for Russian tanks. We knew they were coming. The infantry in front of us radioed back saying there were noises in the woods that sounds like tanks. You could not see exactly because they were in the shadow of the trees. I could not keep my eyes off my telescope. Then finally I saw something moving there. Sure enough that is where the Russians came out. I told the tank commander and he order ‘Fire’." "The first shot hit but it did not do any damage. As soon as you shoot the loader puts another round in the breach. Right away it is ready. I knew the distance. All I had to do was to turn the gun a degree or two to hit another part of the T34 tank. Shoot again and we knocked it out. One after the other came out of the woods. They had ten tanks. They shot but they missed. It was like they did not know what to do. This was a common saying in the German Army, ‘don’t worry about the Russians they always miss on their first shot’. Our buddy next to us was about 100 metres away. He knocked out two. The third one started to move back already when I shot it. The fourth one was further back but I still hit it." "Then one took off. Our buddy chased him and knocked him out. The others all disappeared back into the woods. You always tried to hit between the turret and the main body as this is where you can do the most damage. We knocked out six tanks and they did not hit one of us. They were too slow. We were just faster and better. I said to my commander I was lucky. ‘You were not lucky’, he said, ‘you were trained better to hit them all, the first time with the first shot’." 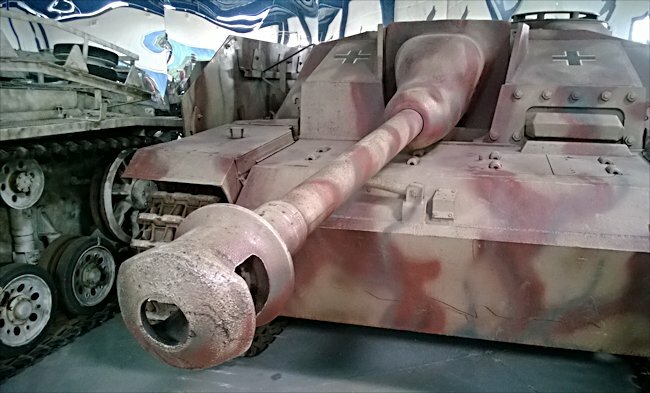 The T34/76 and the StuG III were equally matched weapons. 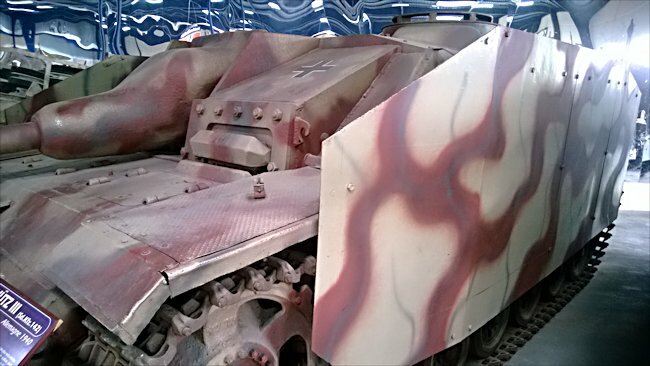 The German tank crew’s superior gunnery skills left them in sole possession of the battlefield.